Maurice McGregor, MD, FRCP (C) trained in Medicine in South Africa and in London, England. He has served terms as Head of Cardiology, and Physician in Chief of the Royal Victoria Hospital and as Dean and Vice Principal at McGill University. 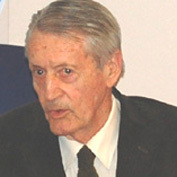 He was founding President of the Conseil d’évaluation des technologies et modes d’intervention en santé du Québec (1988-94), a member of the first Board of the Canadian Coordinating Office for Health Technology Assessment and Chair and Editor of Health Canada’s Committee on Guidelines for the Management of Breast Cancer (1994-98). He is a Cardiologist and Professor Emeritus at McGill University.